Do Fiberglass Pools Look Cheap? Once upon a time, fiberglass technology was in its infancy. 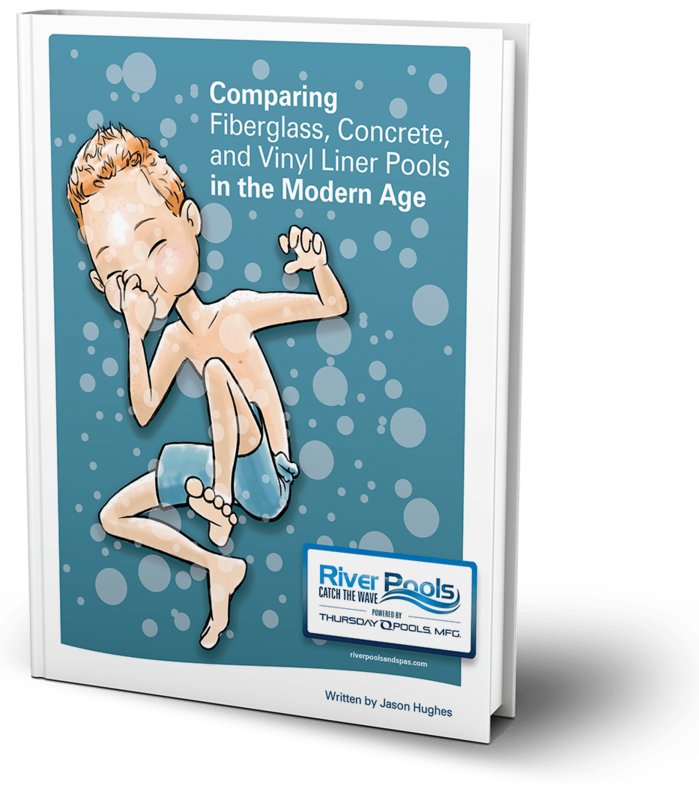 Fiberglass pools often looked plain or cheap, simply because technology hadn't advanced very far yet. However, with time, science, and a passion for splashin', modern fiberglass pool manufacturers have blown those outdated appearances out of the water. Today’s fiberglass pools are elegant and stylish, fitting beautifully into any backyard landscape. How Much Time Does It Really Take to Maintain a Fiberglass Pool? Owning a pool is constantly a balancing act. You must balance the time you spend caring for your pool with the time you spend enjoying it. Spend too much time on maintenance, and there's no free time left to have fun in your pool! That is just one of the many advantages of fiberglass pools: the lowest-maintenance in-ground pool available on the market today. A fiberglass pool installation is, relatively speaking, less messy than vinyl liner or concrete. However, note that I said less messy, rather than not messy. We're using giant machinery to rip out a ton of earth and put in your glittery new pool. It's not a clean, tidy process. There tends to be a rose-colored-glasses assumption that there won't be that many machines, and they won't make that much of a mess. In the past we've heard people say, "I didn't know my yard was gonna be such a mess. No one told me." Well, it's time someone told you—and that someone is River Pools. How Does a Pool Pump/Filter System Work? Technology is hard. It's even worse when you can't pick the equipment out of a lineup. But we're here to make your life easier, in every way we can. So today... let's talk filter systems. Why Do I Have Air Bubbles in My Pool? You designed your dream backyard. The pool, the landscaping, the patio. So much effort, and so worth it. It's a beautiful thing. Except you didn't design the aggressive bubbles shooting out of the returns on the pool walls. So what's up with that? Why are you getting air bubbles in your swimming pool? This is a common problem, especially when you're first opening your pool for the season. A few bubbles in the pool or the pump is normal, but noisy churning and lots of bubbles indicate that you have a problem.